How streaming services and internet distribution have transformed global television culture. Television, once a broadcast medium, now also travels through our telephone lines, fiber optic cables, and wireless networks. It is delivered to viewers via apps, screens large and small, and media players of all kinds. In this unfamiliar environment, new global giants of television distribution are emerging--including Netflix, the world's largest subscription video-on-demand service. Combining media industry analysis with cultural theory, Ramon Lobato explores the political and policy tensions at the heart of the digital distribution revolution, tracing their longer history through our evolving understanding of media globalization. Netflix Nations considers the ways that subscription video-on-demand services, but most of all Netflix, have irrevocably changed the circulation of media content. It tells the story of how a global video portal interacts with national audiences, markets, and institutions, and what this means for how we understand global media in the internet age. Netflix Nations addresses a fundamental tension in the digital media landscape - the clash between the internet's capacity for global distribution and the territorial nature of media trade, taste, and regulation. The book also explores the failures and frictions of video-on-demand as experienced by audiences. The actual experience of using video platforms is full of subtle reminders of market boundaries and exclusions: platforms are geo-blocked for out-of-region users ("this video is not available in your region"); catalogs shrink and expand from country to country; prices appear in different currencies; and subtitles and captions are not available in local languages. These conditions offer rich insight for understanding the actual geographies of digital media distribution. Contrary to popular belief, the story of Netflix is not just an American one. From Argentina to Australia, Netflix's ascension from a Silicon Valley start-up to an international television service has transformed media consumption on a global scale. 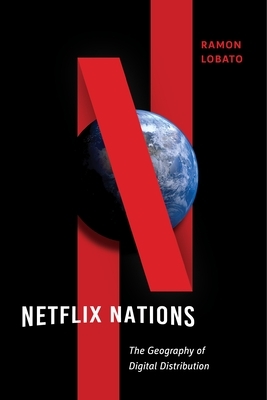 Netflix Nations will help readers make sense of a complex, ever-shifting streaming media environment.